In the evening of day 2 [16th April 2014] of the Brahmothsavam at Thiruvallikkeni, it was the majestic Simha [lion] as vahanam. The most beautiful, powerful, benevolent Sri Parthasarathi Perumal had purappadu atop ‘simham’ and gave darshan to devotees. 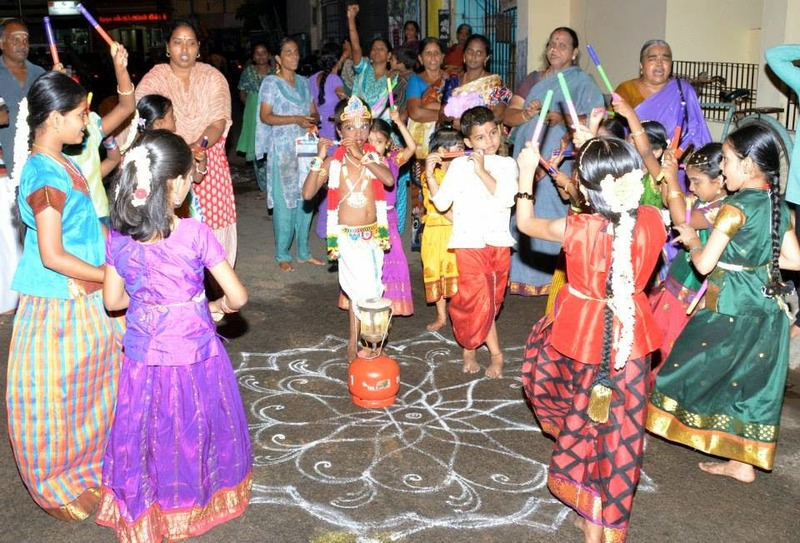 Added attraction in this Brahmothsavam is the ‘kolattam’ in the evening purappadus by young children organized by Mrs Prema Krishnamohan of Soundarya Rathinamala. These photos were taken by Thirumazhisai Kannan in the purappadu which lasted for nearly 2 & ½ hours and ended around 10.30 pm. 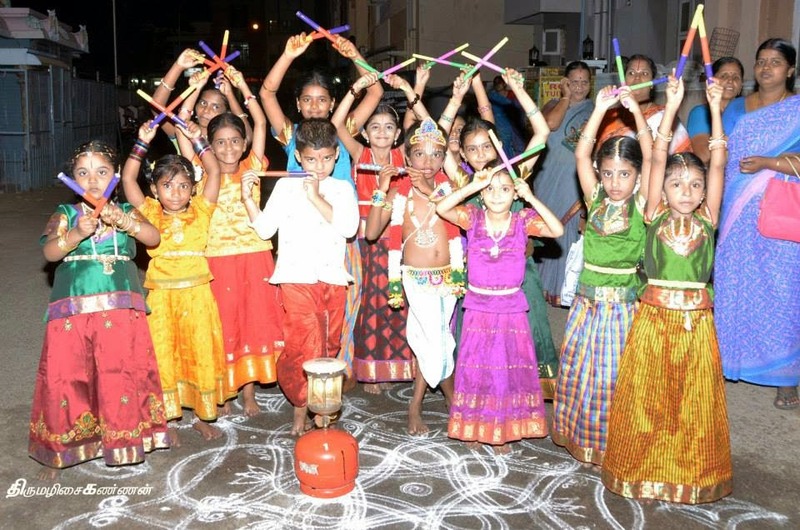 The enthusiasm and commitment of the children is to be seen to be believed.